Two of the most watched - and if you believe the vendors, most active - data storage technologies seem to be at polar odds with each other. On one hand, there is software-defined storage (SDS), and on the other hand there is hyper-convergence. Although hyper-convergence sounds like a cutting-edge concept, it would be unwise to let that intimidate you from implementing this new technology. 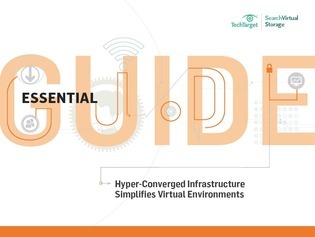 This expert e-guide takes a look at how hyper-converged infrastructure can simplify storage in virtualized environments. Read on to learn about how hyper-convergence offers added flexibility and agility, and how it can make your virtual storage management easier.